Free Shipping on Retail Orders of $50 of Our Books! Wholesale orders must be over $300 net in our publications to receive free shipping. Use code FS300. Offer good for economy ground shipping to US only. 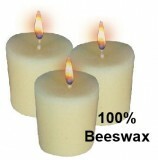 Must use coupon code FS50 in coupon area when checking out. If it does not take it, mention the code in the note section when checking out. Free shipping is only available on OUR BOOKS. Other items ordered will incur regular shipping. Special Offers are not available by phone. If you prefer to not order by web you may send your order in via mail or email. 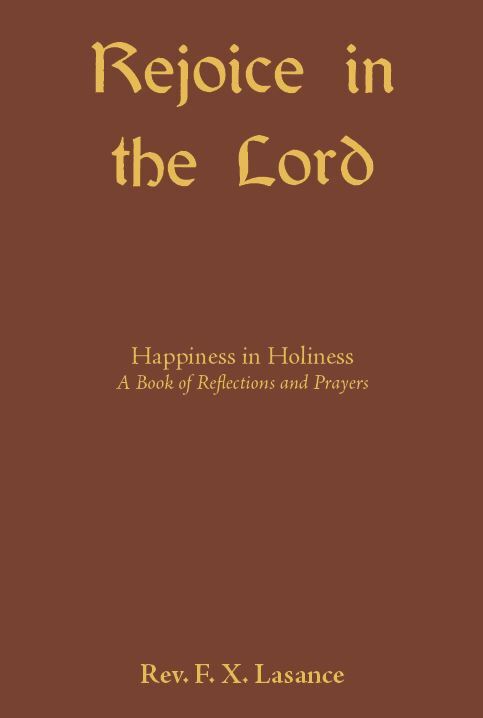 “Rejoice in the Lord” emphasizes and unfolds the fundamental truth contained in the epigrammatic saying of Father Hecker: “The end of religion is joy– joy here no less than joy hereafter.” It is composed of three parts. The first part is a Book of Reflections. Under the caption “A Word of Good Cheer for Each Day in the Year” are gathered together from the Sacred Scriptures, and from the writing or sayings of saints and sages, words or thoughts, that will help us, if we make them our own, to maintain a spirit of cheerfulness in all our vicissitudes, that will encourage us, if we meditate on them, to cultivate the habit of looking on the bright side of things. The second part is a Book of Prayer; that is to say, a prayer-book which is suitable to all states of life for all ordinary occasions of devotion. The third part is A Little Books of Indulgenced Ejaculations and Short Prayers. Impr, 1920. 505 page book. By Rev. W. Devivier, S.J. Edited by Rt. Rev. S.G. Messmer, D.D., D.C.L., Bishop of Green Bay, Wis. Devivier’s Manual sets forth both the truth and the goodness of the Catholic religious. Although very compendious in size and treatment, it is sufficiently complete for popular use. 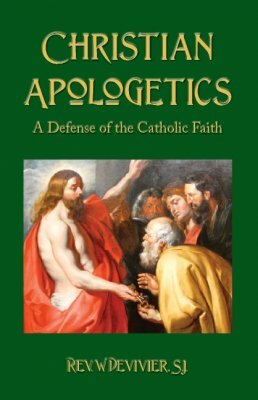 Under a modest title and in a simple and unpretentious form, this book has united in a single volume all the arguments which Catholic controversy opposes to contemporary irreligion. Exegesis, philosophy, theology, history, physical sciences, political economy, all branches of knowledge, human and divine, concur in your work to demonstrate incontestably the perfect agreement of reason and faith. May Devivier’s Christian Apologetics help to set more fully aglow the Catholic Faith in many minds, and to fan in the hearts of the faithful the fire of holy love for Mother Church! Impr, 1908, 583 page book. By Rev. John S. Zybura. This book, written 95 years ago, seems almost prophetic. “the very machines man is perfecting ... will escape his control; they will master him, they will crush him ... because he stubbornly refuses to learn the control ... by bringing his soul under the subjection of God (p.6).” “Downright hatred .. are in evidence whenever the things of God are mentioned (p9.) 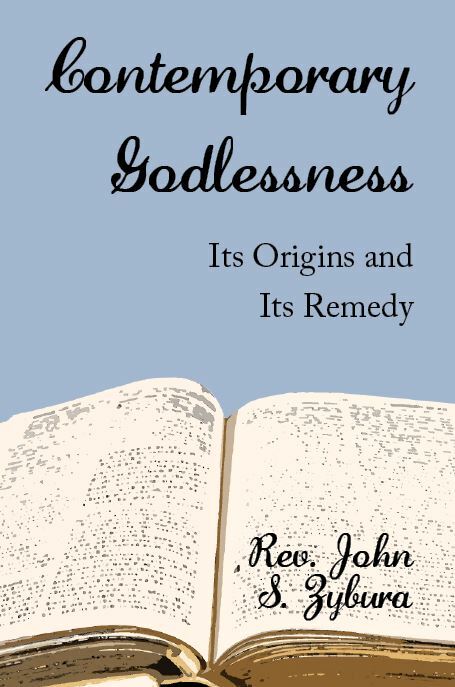 “ Chapters include: The New Era; Godlessness in Life and Thought; Church-less, Christ-less, Godless; Godless Education: A Warning to Parents; and others. Much attentive thought is necessary for grasping the fullness of the richness of analysis found in this book. But the readers who give this necessary attentive thought will be more than repaid by the wealth of their “find”. Impr, 1924. 102 page book. By Rev. Ernest R. Hull, S.J. Impr, 1921. This book should be placed in the hands of very young married couple very early in their married life, and carefully read by them in preparation for the serious duties of parenthood on which they are entering, and for which they will one day have to render a grace account. None the less ought to be ‘chewed and digested’ by those who have the responsibilities of intellectual and moral parenthood– I mean the teachers of our boys and girls, in whose case the in loco parentis is no mere legal fiction. Most fairly educated readers will, I think, follow without much difficulty the author’s very clear and simple exposition of psychological facts connected with the development of children; whilst for educationalist, the subject ought to be familiar enough in these of pedagogy, ‘method’ and ‘child-study.’ 171 page book. By A Sister of Notre Dame, Illustrated by Wilfred Pippet. 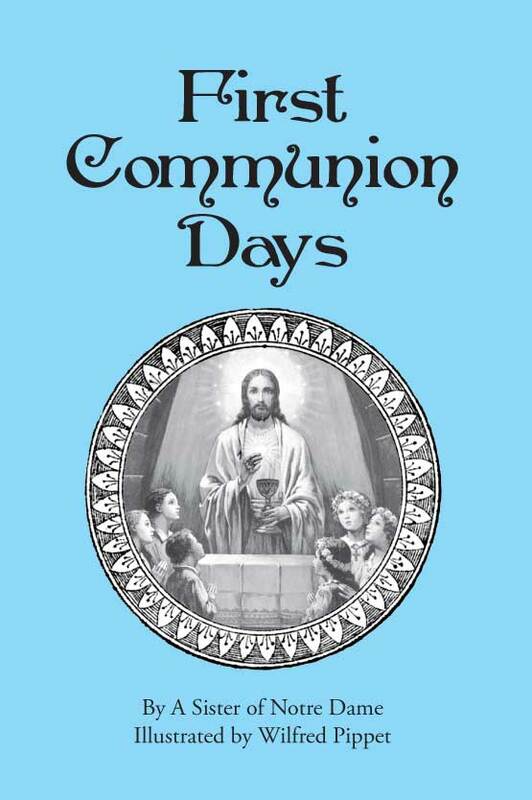 A beautiful, enchanting set of twelve true stories about children who are due to receive their First Holy Communion or have already received it. Inspiring tales of children who strive to be like the Little Jesus by overcoming temptation, anger, poverty, and selfishness. A great read for all ages. 96 page book, Impr 1920. 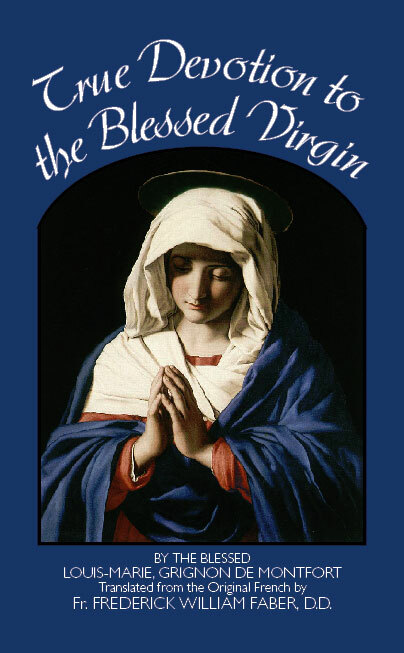 In these writings Blessed Grignon de Montfort explains in detail, in this classic, what is required of us to have True Devotion to the Blessed Virgin Mary. The teaching of Blessed Grignon de Montfort is further illustrated by the words spoken by the Blessed Virgin to St. Bridget. She said: “He who sees God sees me; and he who sees me may see the Divinity and Humanity in me as in a mirror, and me in God. 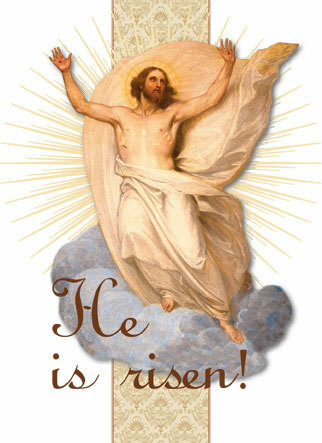 For whoever sees God sees Three Persons in Him; and whoever sees me sees, as it were, the Three Persons. 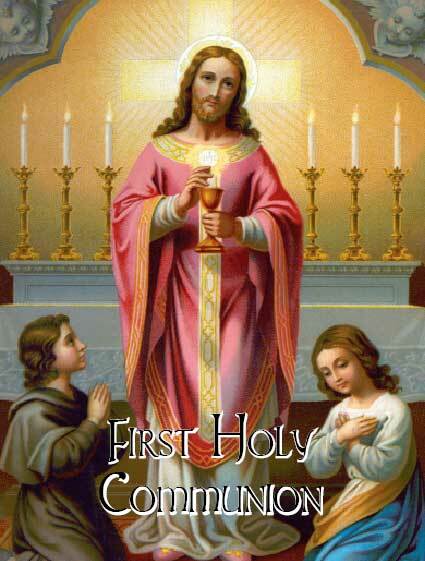 For the deity folded me in Itself with my soul and body, and filled me with every virtue, so that there is no virtue in God which does not shine in me.” - Rev., c I. chap. xlii. A true devotion to Mary is indeed a straight and sure path to a deeper understanding and relationship with Christ. 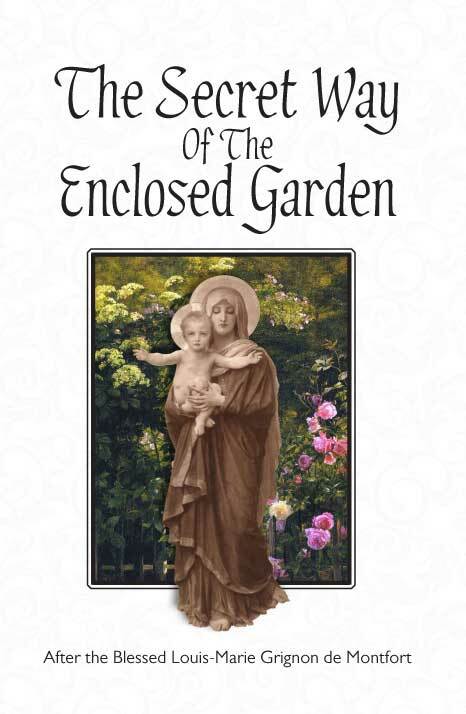 “Jesus Christ is the last end of true devotion to Mary.” Impr 1909, 198 pages. The author’s aim is to bring before the public in as simple a manner as possible the spiritual teaching of the Blessed Louis-Marie Grignion de Montfort with regard to Our Lady. “Oh, if Mary were but known, there would be no coldness to Jesus then.” Blessed Louis-Marie’s spiritual practice is a way or method suited to any soul, any nation, any race, desirous of making giant strides in perfection in a comparatively short time. Impr 1931, 230 page book.